[UPDATE Sep 22, 2015 at 0700h: The #LanewaySG lineup is out! Expect Singapore acts Cashew Chemists, Riot !n Magenta and Intriguant to join the likes of Grimes, Flume, Chvrches and Shamir (who we correctly predicted in our wishlist below). The biggest music festival here isn’t even from Singapore. 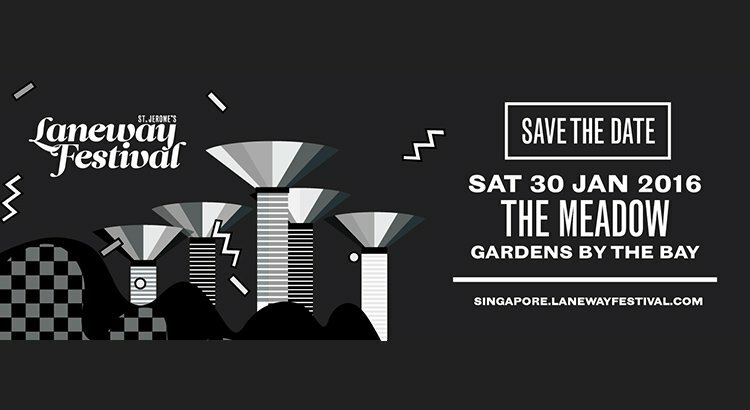 The Laneway Festival has thrilled gig-lovers since 2011, and returns next year to The Meadow @ Gardens By The Bay on Saturday, 3oth January 2016. It’s no secret that Troye is a hot favourite in many circles. In fact, it’s hard to keep secrets at all when you have nearly 4 million subscribers on YouTube and probably just as many Tumblr fanblogs dedicated to your every move. Troye Sivan is the same age as me omg what have I done with my life the 20-year-old who enjoys almost a princely status on YouTube. With his foray into music back in 2014, the lead single “Happy Little Pill” off his debut EP “TRXYE” was an immediate hit worldwide, skipping its way up the international charts. With his second major-label EP “Wild” at just a week old, the planned “Blue Neighbourhood” trilogy is already a work of art. Now that he’s already announced US tour dates for October and teased plans for a short UK tour before 2015 ends, we’ve checked the box that Troye is keen on touring. We’ve also established (from the craziness that was YouTube FanFest 2014) that Singapore loves Mr. Sivan/Mellet. 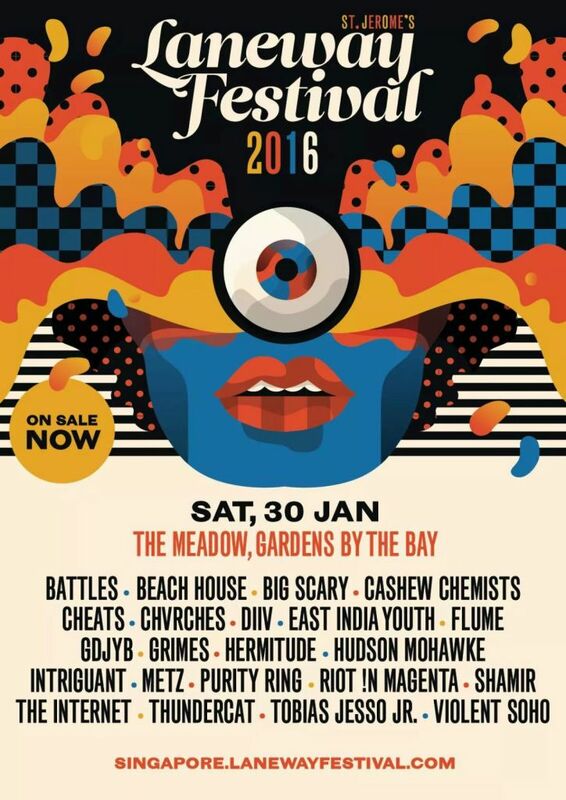 All that’s left now is a little scheduling work, and Laneway Festival 2016 might just see a certain troye boy as headliner. P.S. some #Tronnor love won’t hurt. Bring Con da Bon, okay? The British synthpop trio have churned out hit after hit, putting themselves at the top of the BBC Sound Of 2015 Longlist. What next for the “Shine” and “King” hitmakers? Led by the hilarious Olly Alexander (who frequently tweets from the wrong account), Years & Years are already in the middle of a European tour, ending in November 2015 at Copenhagen. With their massive clout (and penchant for touring), it’s highly likely that their name would be sitting snugly among the headliners announced next Tuesday. Besides her spectacular “angry” record “Badlands“, the pure marketability of Ashley Nicolette Frangipane made her the most talked about person on Twitter at SXSW 2015. The 20-year-old is set to play US shows all through the rest of 2015, ending with Miami on 19 December. She’s definitely had experience on the road though, having opened for a portion of Imagine Dragons‘ “Smoke + Mirrors Tour“. With a jaw split wide open and lungs for days, Florence Welch of indie-rock band Florence + The Machine can arguably out-sing the entire music industry. In support of their third studio album, the “How Big Tour” has just begun its four-month run. 4 legs are planned for the tour, spanning Europe, North America, Oceania, and back to Europe with a finale show in France on 22nd December 2015. This is hot off YouTube: Shamir’s new video for “In For The Kill” is, like all his visuals, a riot of colour. The 20-year-old was thrust into the spotlight earlier this year when he featured on the BBC Sound Of 2015 Longlist, alongside James Bay, Raury, and SOAK, among others. With his signature disco sound and raw countertenor vocals, many have whispered that Shamir might just be the next Prince. The Las Vegas native is currently on tour, which began this July in Chicago and is slated to end in Mexico this November. Fingers crossed that the wunderkind might just play the Gardens By The Bay stage, alongside fellow longlister Years & Years! Stay tuned to Laneway Festival Singapore’s Facebook page to find out the confirmed list of artists here.